So we have the season finale folks, are you excited? It’s time for Batman’s inaugural season of team up adventures to draw to a close, and it’s been a bumpy ride. We finally get to see a resolution to the Equinox story line, But will it end with a bang or fizzle out? Read on to find out. The teaser features Batman pursuing Harvey Dent’s alter ego two face in a typical abandoned warehouse. As Two Face and Bats face off (sort of pun intended), Dent performs his characteristic coin toss to determine Batman’s fate. When the toss comes up heads, Dent’s henchmen decide to disobey the coin’s decision, leading Two Face and the Caped Crusader to team up and vanquish the henchmen before Batman clocks Harvey with a sucker punch and comes out on top, as always. The story proper opens at some mystical Asian temple where Batman confronts the Equinox. Equinox feels comfortable that he can handle Batman, but the Dark Knight reveals that he didn’t come alone as Doctor Fate appears. A battle ensues involving snake/ gargoyle hybrids as Equinox talks about the giant gyroscope contained in the temple, and how one person in perfect balance must sacrifice another balanced individual to it in order to obtain absolute power. Batman side steps Equinox’s attack and tosses him into the gyroscope to his seeming demise. Later Fate and Bats discover that hideous ancient beasts are attacking heroes around the globe, and the two go to consult the lords of order about the situation. When our heroes meet with the lords of order the are told the long awaited origin of Equinox. The lords of order and chaos explain that they created a child, Equinox, to balance chaos and order, putting an end to their eternal struggle. However, Equinox cracked and believed he could do a better job without either side. Equinox appears and the united Lords of Order and Chaos try to repel him, but their might proves useless. He drains the energies from them all, and Nabu and Typhon teleport Fate and Batman away just in time. 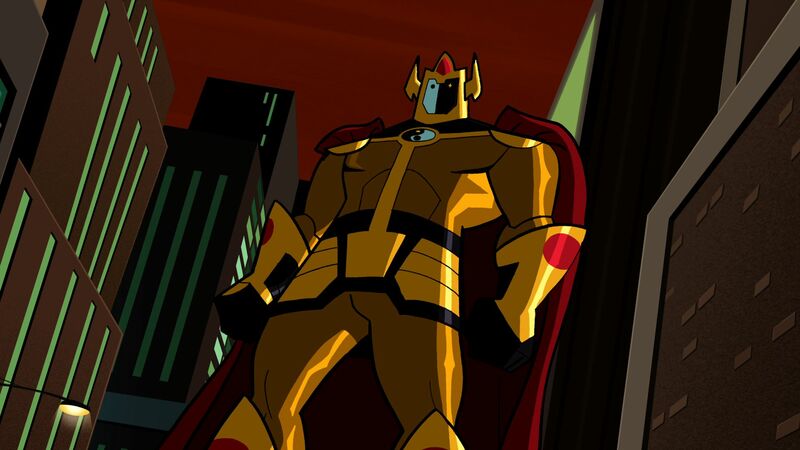 Back on Earth everything appears normal until a giant Equinox shows up clad in armor that is not unlike that of Galactus from Marvel comics. 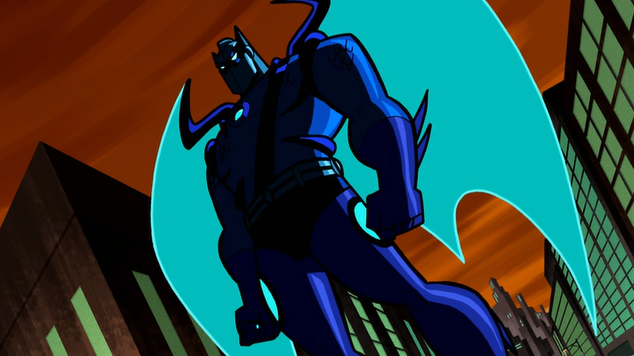 Fate teleports most of Batman’s fellow heroes from around the globe, and channels all of their powers into the Dark Knight turning him into a giant sized ultra hero. The two titans battle in the spirit of Japanese kaiju, and as Batman recognizes all the collateral damage he’s takes the battle into space. As Batman determines he cannot when the fight, he surrenders and points out to Equinox that the chaos within him has taken over the order. 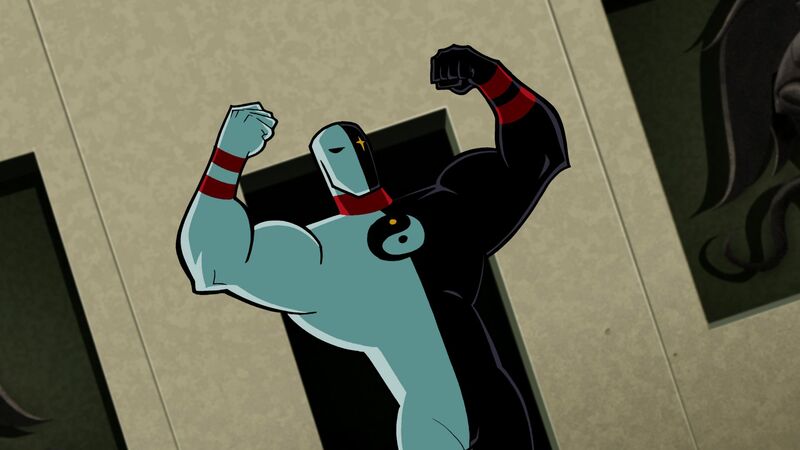 This lead Equinox to have an existential crisis by realizing that he is not in perfect balance, Batman defeats him with a green power ring infused sucker punch. So this is it, the end to the first season, the answer to the mystery of Equinox, and hopefully the fruit to make views eager for season two. With the combing of heroes to create a giant hero to battle and out of control beast created by celestial beings, it really felt a lot like a typical episode of the Power Rangers, all that was missing was an ultra magazord power sword to deliver the final blow. I guess with the intent of the show to grab younger viewers, this could have been intentional, but I’m not sure it was what I was looking for (please forgive the grammar). I did like the idea of using an orphan to create an Earthly power for chaos and order was a cool origin, it seemed to be glossed over too quickly in order to get to the fighting. Much like the music Meister episode, I feel this episode would have been better with less teaser and more story. To be honest, I don’t think this episode was initially envisioned to be the finale, but some post production shuffling led it to be so. Overall I feel that this story did answer my enthusiastic questions about Equinox, but I wish it had been executed with more character exploration and less sucker punches. I also kind of wish that Batman would have dealt with the threat of Equinox without becoming a super powered mega being, and rather dealt with the entire ordeal on more of a strategic and psychological level (the appeal of Batman has always been that he has no powers yet continues to stop all the megalomaniacs who threaten him). Next week I will share my overall impressions of the first season, and I honestly don’t yet know what the are, it will take some introspection to figure it out.